Can't make it to Greensboro on Friday. 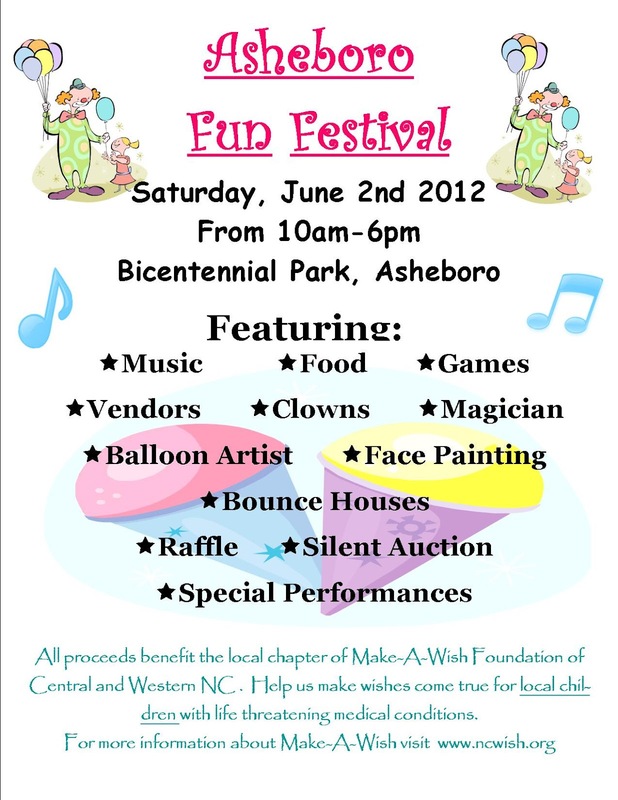 Make-A-Wish Asheboro Fun Festival on Saturday. It's a great cause and should be a great time for the kids. 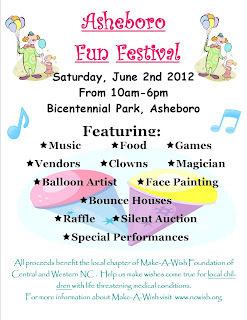 Have some fun and help support some kids wishes.